In New Jersey, negligence lawsuits are commenced when a person is injured as the result of another person’s careless actions. If a person fails to use reasonable caution and another individual is harmed, the injured person is often able to obtain compensation. 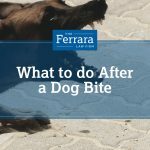 Criminal negligence, however, is a distinct type of negligence that plays a unique role in many cases in New Jersey. The following will take a look at what these types of cases involve and how they differ from other types of negligence. If you are involved in an accident in New Jersey die to someone’s negligence, you should not hesitate to speak with an experienced accident attorney. The standard of care: Law in New Jersey defines what a person is required to do in a certain situation or the “standard of care.” If a person fails to act in such a way, they are considered to have failed to meet the standard of care. In civil negligence cases, the lack of care that a person provides is not as substantial as it would be in cases involving criminal negligence. The resulting penalties: There is a substantial disparity in the state of New Jersey regarding the penalties associated with criminal and civil negligence. Being charged with criminal negligence can result in fines as well as imprisonment. In the case of civil negligence, however, a person can end up facing fines to compensate an accident victim but will not face a prison sentence. The parties involved: In civil negligence lawsuits, cases are filed on behalf of accident victims while in the case of criminal negligence, lawsuits are filed by either the state of New Jersey or sometimes even the federal government. 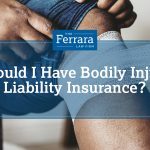 If you are involved in an accident involving negligence, do not hesitate to contact an experienced accident attorney at Ferrara Law who will remain committed to making sure that you receive adequate compensation.